To hear the cast of Noah Baumbach’s “The Meyerowitz Stories (New and Selected)” tell it, the shoot for the bitingly funny family drama was anchored by a dynamic not too dissimilar from that which drives much of the feature’s plot. As in the film, the all-star cast of Baumbach’s drama felt compelled to please and appease their writer-director as they would a doting father. But where Harold, the Meyerowitz patriarch played by Dustin Hoffman, is near-tyrannical in his self-absorption (he is a modestly successful artist, after all), leaving his three children to jockey for his attention while cursing that very futile instinct, Baumbach made for a more kindhearted leader on set. At the center of the film’s narrative, giving one of the most touching performances of his career, is Hoffman. Whether lobbing scathing, passive-aggressive barbs (“He’s not untalented, but he’s a very skillful operator,” he says about an artist friend receiving a retrospective at the Museum of Modern Art) or hilariously running after his son Matthew (Ben Stiller) as they hunt down a guy who apparently walked out of a restaurant with Harold’s jacket (spoiler alert: he hadn’t), Hoffman gets the kind of plum role he admits is rather rare once you’ve reached a certain age. To think he almost passed on it! Unbeknown to Baumbach, who’d written the part expressly for the “Tootsie” actor, Hoffman had no interest in the project when the script first reached him. He’d taken one look at the 176-page screenplay, seen his character would eventually end up in the hospital—a plot point that brings all three Meyerowitz children together as they rally around their father—and waved it away. He was tired of getting such parts. “When you start out, you want any part that you can get,” Hoffman says, sitting in a room at the Mandarin Oriental, surrounded by his director and cast mates. “Actors used to say, ‘I got 10 lines in this!’ Then: ‘I got 50 lines!’ Then, if you’re lucky, you graduate to supporting parts and then some of us get leads. And then suddenly you wake up one day and you’re too old for the leads—unless you’re gonna carry a gun. So you’re back to playing a supporting part. I’d gotten a little past that.” For the past few years, his agent had been sending him several projects where the enticement was that he’d only have to work three days—because his character would get cancer and die. So as soon as he hit Harold’s hospital scenes, he was uninterested. It wasn’t until his son, upon hearing it was a Baumbach project, urged him to reconsider that he looked at the script anew and took the part that had always been rightfully his. 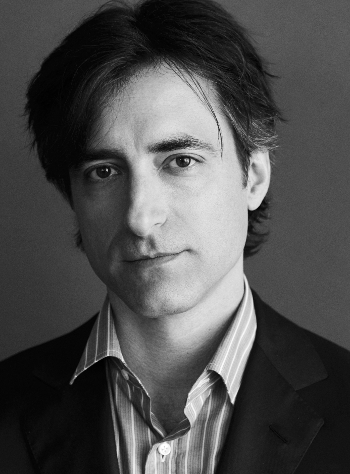 He quickly found out that what had first enticed him about Baumbach’s features—the improvisational flair that he’d seen run through the director’s dark comedies (“The Squid and the Whale,” “Frances Ha”)—was actually the result of a painstakingly written and choreographed process. That’s how, for the first time since “The Graduate” 50 years ago, the Oscar-winning actor had to adhere to every word on the page. Baumbach was as fastidious about his own words as Mike Nichols had been when directing that now classic 1967 film. Not out of a desire to be precious about what he’d written, but because he’d crafted the script in a way that only comes alive when performed as written. But there is something to be said about the way “The Meyerowitz Stories” feels improvisational. There is a looseness not just to the performances but to the dialogue, an effortless element to the way these people talk to one another, whether in the middle of a cringe-inducing dinner or at a packed gallery opening. It used to be that Baumbach would take a bit of a defensive stance against that assessment of his work, but he’s grown to take it as the compliment it is. Moreover, he’s had to admit that his approach to working with actors comes indirectly from a titan of improvisation—Nichols himself. The late director, who may be best remembered for “The Graduate,” “Who’s Afraid of Virginia Woolf?,” and HBO’s “Angels in America,” got his start in improv alongside Elaine May, another looming influence over Baumbach. The film, as its title portends, is broken up into separate stories that each focus on a different member of the Meyerowitz family. That adds to the sense of it being a true ensemble film (“It’s really a collective, like a string quartet,” says Hoffman), one that allows every actor the chance to shine. Marvel, for example, dazzles in a late-in-the-film monologue that gives us insight into her character, Jean, whom she calls the “Fredo” of the film, referencing John Cazale’s “The Godfather” role, an overlooked sibling who can easily blend into the background. In fact, on the first day on set, while shooting the family meal that makes up the bulk of the film’s first “story,” Hoffman didn’t recognize her. He mistook her for someone on the crew. “She had a kind of very sullen look on her face,” he remembers while laughing at how immersed in the character Marvel already was. In contrast to the family’s sole sister, whom Marvel and Baumbach modeled on New Yorker cartoonist Roz Chast, her brother Danny and half-brother Matthew have a harder time keeping their frustrations with themselves and their father bottled up. Hoffman is quick to praise Sandler who, in his eyes, really dug deep to create the limping, cargo shorts–wearing father of one who’s forced to room with his dad and later his sister following his separation. In Harold’s eyes, on the other hand, he’s quite the disappointment, and Sandler often bears that in his hunched posture. “Your so-called character is you if you had not been successful,” Hoffman says to Sandler as we discuss this family’s skewed vision of “making it.” “And that’s painful. Because that’s all of us. It’s a flip of a coin, success. And we know people in our acting lives—tremendously talented people who couldn’t get to second base for whatever reason. You can only endure ‘Thank you, next!’ for so many years.” That’s what, to him, Sandler accomplished with his performance as a musician who never made good on his promising talent. Just like Jean, though, Danny has an amazing scene late in the film where he finally stands up for himself—not to his father, but to the brother who’d gotten the attention he’d always coveted. Seeing the two siblings take out decades’ worth of animosity in what was designed to be an impossibly awkward fight between two guys who have clearly never thrown a punch in their lives is one of the film’s most thrilling and hilarious moments. As Baumbach and Sandler recall, the idea for such a fight was there from the beginning. In that first lunch the two had with Stiller, where they discussed the possibility of working together, the only thing they came away with was the idea that they’d stage a physical fight akin to the one in Elaine May’s “Mikey and Nicky.” As Matt and Danny trade barbs about who got the brunt of Harold’s attention (or lack thereof), you can sense the brothers amping up for a brawl neither is particularly equipped to win. The scene devolves into a slapstick-like altercation that has the two funnymen making full use of the physical comedy that has served them so well in past roles. But this wouldn’t be a Baumbach fight if it didn’t also thread in the kind of telltale dialogue (“You kicked me in the shin!”) that punctures the sight of two grown men engaging in as childish a fight as they can muster. It’s a line that still makes Hoffman roar with laughter. One that prompts him to ask Baumbach during our chat whether it’d been ad-libbed. But of course it hadn’t been. It was all in the script and, like him, his fellow cast mates had just been able to make it sound effortless, hysterical, and, most importantly, real.